Photo: Eric Galmard, filmmaker of "A Tomb for Khun Srun", cropped. The screening will be followed by a discussion with the filmmaker, Eric Galmard. Synopsis: Khem confronts the memory of her father, Khun Srun, a Cambodian writer who joined the ranks of the Khmer Rouge in 1973 and was executed by them in 1978. She meets some survivors, a cousin, an aunt, and workers in a railway workshop who knew her father. At the same time, she and her two sons have to cope with the difficulties of a precarious life given that they are still living in a former Khmer Rouge stronghold. In parallel with Khem’s deeds, the film enables us to hear the autobiographical and satirical voice of a humanist and pacifist writer who chose the revolutionary side (to his own detriment as it turned out). Inscribed in the present time of a country which is rapidly "developing" at the expense of a certain number of Cambodians, and in particular in a capital bristling with cranes, the voice of Khun Srun questions with acuity the contemporary Cambodia he never knew. After studying literature and film, Eric Galmard worked in several Asian countries (the Philippines, Japan, Cambodia) and in the Pacific region (Fiji islands), both in the university system and the French cultural network. Since 2009 he has taught film in the Faculty of Arts at the University of Strasbourg, focusing in particular on documentary films and Asian cinemas. 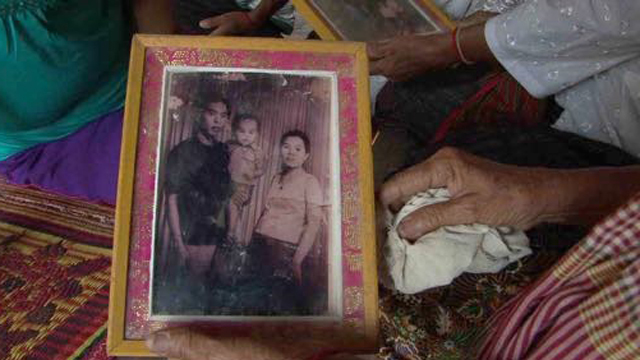 "A Tomb for Khun Srun" is his first feature-length film. Cost : Free and open to the public.